St. Martin's Griffin, 9781250055569, 384pp. In 1957, Sebastian wins a scholarship to Cambridge, and a new generation of the Clifton family marches onto the page. But after Sebastian is expelled from school, he unwittingly becomes caught up in an international art fraud involving a Rodin statue that is worth far more than the sum it raises at auction. Does he become a millionaire? Does he go to Cambridge? Is his life in danger? 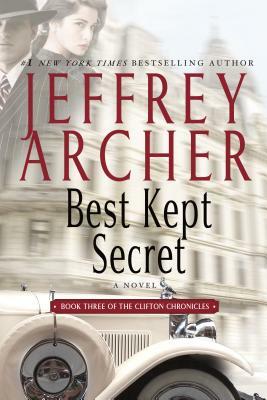 Best Kept Secret, the third volume in Jeffrey Archer's bestselling series, will answer all these questions but, once again, pose so many more.